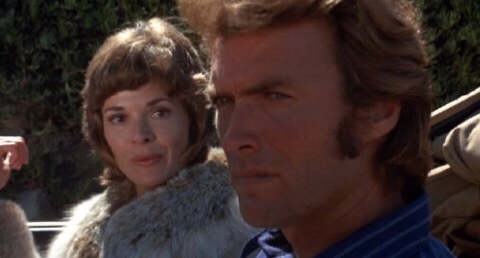 As part of Clint Eastwood Week on my blog, I figured I better do a list of My Top Ten Clint Eastwood (starring) Movies. 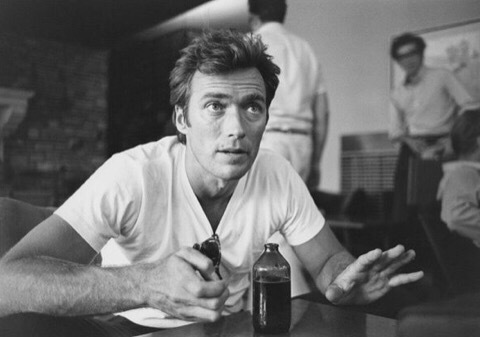 I’ve been reviewing some of Eastwood’s films this week as he turned 86 on Tuesday. 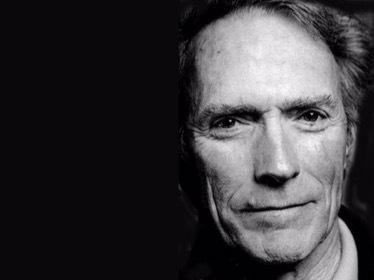 Happy Birthday, Mr. Eastwood! Now, there are still plenty that I haven’t seen OR I saw them at a young age & really need to re-watch them before adding them to this list (including most of the Dirty Harry stuff). I’ve listed some of these films at the end so don’t ask why they’re not on the list! 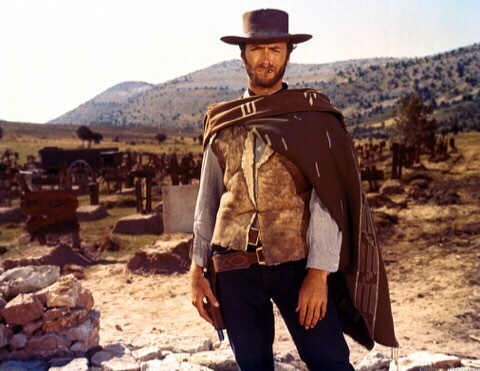 😉 The Eastwood movies that I’ve reviewed are all linked below. I haven’t suddenly turned into the world’s biggest Clint Eastwood fan or something. Let’s face it: he’s my dad’s favorite actor. I think he’s the favorite actor of most dads. He’s a total “dad actor”! But, hell, I’ve really enjoyed some of the movies that he’s starred in (most of which I’ve only just watched for the first time these last couple of years). I have to say that I prefer the spaghetti Westerns to the Dirty Harry stuff, although I did have fun with the one Dirty Harry film I reviewed yesterday. I kind of had it in my mind that he’s also starred in all the films he’s directed but there are lots he wasn’t actually in. So, this list is only going to include the films he’s ACTED in. But it seems a little weird to exclude those he’s directed so, at the end, I’ll include a separate top ten for those. I love Dirty Harry. Mystic River as a director. My mum loves him more than my dad but then my family always does stuff differently haha. Great list, Mutant! For me, Million Dollar Baby is my top Eastwood movie. Good lists though, I don’t even know where I would start. 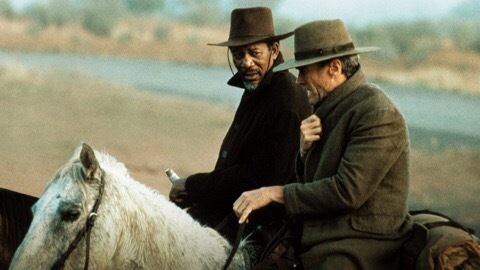 You should include Pale Rider and High Plains Drifter in your unseen list…just trying to help. 🙂 both great westerns. Pale Rider is pretty famous. Maybe he should play Cable in the Deadpool 2 movie? Good job on watching all those films. I really, really don’t like Clint Eastwood but I guess I have to start watching his films if I ever want to finish top-250 challenge… Btw, I detest Million Dollar Baby, it was such a waste of time. And usually I’m a sucker for those kind of stories. I do love Mystic River, though, one exception, I guess. 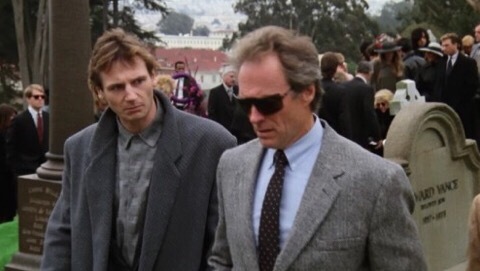 And I think I liked Dirty Harry films when I was a kid and I watched them with, of course, my dad. I think I have only seen about 3 Clint Eastwood movies… which is kind of embarrassing. I think Firefox is the movie that lead to the t.v. show of the same name. I remember watching it in the theaters. A little gem called “The Beguiled”………terrific! I liked the movie Blood Work. A lot of people didn’t. Eastwood is an FBI agent tracking down a serial killer and he has a heart attack after chasing down the killer. 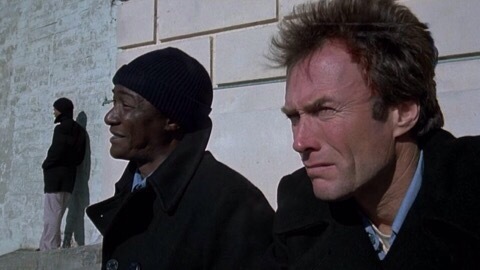 The killer gets away and Eastwood’s character is forced to retire and he eventually gets a heart transplant. A woman wants to hire him to help her find out who her murdered her sister as police are getting no where. He eventually figures out that he got her sister’s heart. And that there were a string of murders that looked unrelated but it turned out they all had the same, uncommon, blood type and they all had donated blood at one clinic. Or something like that. Anymore information will give away the rest of the movie. Jeff Daniels is in it and gives a really good performance.